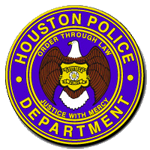 Houston police are investigating an incident in which an HPD officer discharged his duty weapon at a suspect at 100 Annette Street about 6:45 p.m. on Monday (January 28). The suspect, Freddy DeLeon (H/m, 31), is charged with felony evading, disarming a police officer and theft of a motor vehicle in the 174th State District Court. A booking photo of DeLeon is not available for release at this time. . Officer J. Medina, who discharged his duty weapon, suffered a minor injury to his hand and was treated at the scene. Officer Medina was sworn in as an officer in January 2017 and is assigned to the North Patrol Division. HPD patrol officers responded to the 200 block of Turner Street regarding an accident with a disturbance. While speaking to witnesses, Officer Medina saw a silver Honda Civic with heavy windshield damage attempting to flee the scene and realized it matched the description of the suspect vehicle involved in the accident. Officer Medina activated his emergency equipment and attempted to conduct a traffic stop. The driver of the Honda, later identified as suspect DeLeon, refused to stop and continued to flee from Officer Medina. DeLeon stopped his vehicle in the 100 block of Annette, exited his vehicle and became confrontational with Officer Medina. He ignored verbal commands by Officer Medina to show his hands and approached him while reaching into his pockets and waistband. Officer Medina deployed his Conducted Energy Device (CED) twice with no effect on DeLeon. DeLeon then charged at Officer Medina while continuing to reach into his pockets and waistband area. Fearing for his life, Officer Medina discharged his duty weapon and struck him in the left shoulder area. DeLeon then got into a struggle with Officer Medina and attempted to disarm him. During the struggle, Officer Medina's duty weapon became inoperable and DeLeon managed to get into Officer Medina's nearby patrol vehicle. DeLeon fled in Officer Medina's patrol vehicle and, believing he was gaining possession of a weapon inside, Officer Medina managed to get his duty weapon operational and discharged it at the fleeing patrol vehicle. DeLeon crashed the patrol vehicle in a ditch a short distance away and attempted to flee on foot. Additional responding HPD patrol officers assisted in the foot pursuit and took DeLeon into custody in the driveway of a nearby residence. He was transported by HFD paramedics to Houston Northwest Medical Center in stable condition. 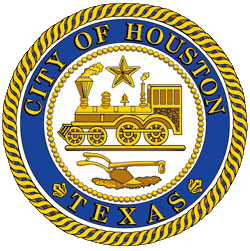 As is customary in HPD officer-involved shooting incidents in the Houston city limits, this case is being investigated by the HPD Homicide Division Special Investigations Unit, the Internal Affairs Division and the Harris County District Attorney's Office.